The canning of Infinity Ward founders Jason West and Vince Zampella was not a decision that Activision took lightly, says big boss Bobby Kotick, saying that the pair's conduct was a disappointing "compromise of our friendship." The man at the top of one of the world's biggest video game publishers laid out Activision's side of the Infinity Ward drama during an investor call earlier today. Kotick attempted to calm his investors' concerns about the turmoil surrounding the employee exodus at the Call of Duty: Modern Warfare developer, saying that Activision is "focused on growing our Call of Duty franchise [and] broadening its reach." That includes the still remaining talent at Infinity Ward he said, who are "working hard on the next title." Activision's Thomas Tippl later said, vaguely, that IW is "working on a Call of Duty title." "We have long term, well thought through plans in place," Kotick stressed, adding "There's nothing accidental about the continued success of the Call of Duty brand." Here's Kotick's statement on the "change and dislocation" at Infinity Ward. Since we terminated the two executives at Infinity Ward, approximately 35 others have resigned and it is likely that a few more people will leave, as well. Many of these people have been recruited by other studios because of how talented they are. We are obviously disappointed about this and we wish we could have convinced some of these incredibly talented people to stay. 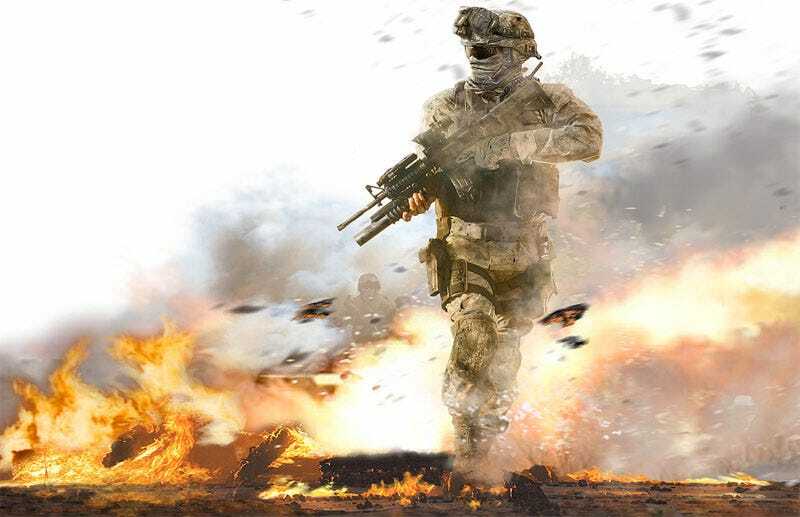 The decision to terminate the two Infinity Ward executives was not done lightly. It was not done to deprive them of their bonuses, nor was it done without a great deal of deliberation about the consequences. The background leading up to our decision to separate the two former Infinity Ward executives for breach of contract and breach of fiduciary duty is outlined in our cross complaint that we filed in April, which I'm sure many of you have read. Against this background, we felt we had no choice but to terminate the two Infinity Ward executives. We did this to protect the company's assets and the interests of our shareholders. I personally considered the two of them friends and their conduct was a compromise of our friendship, which was equally disappointing. Once we began to understand what had occurred, there was no gray area. There was nothing that would have allowed us to retain their services, as talented as they might have been. This is an example of our commitment to pursuing the difficult right, rather than the easier wrong. Our actions were firmly rooted in our longstanding values of integrity and an expectation that our employees, who signed and acknowledge our code of conduct, will behave with the highest ethical standards. We have a great team in place at Infinity Ward, which continues to work on downloadable content and the studio's next unannounced project. We continue to support the culture of excellence that has defined Infinity Ward and we're already strengthening the studio with additional talent and financial resources.